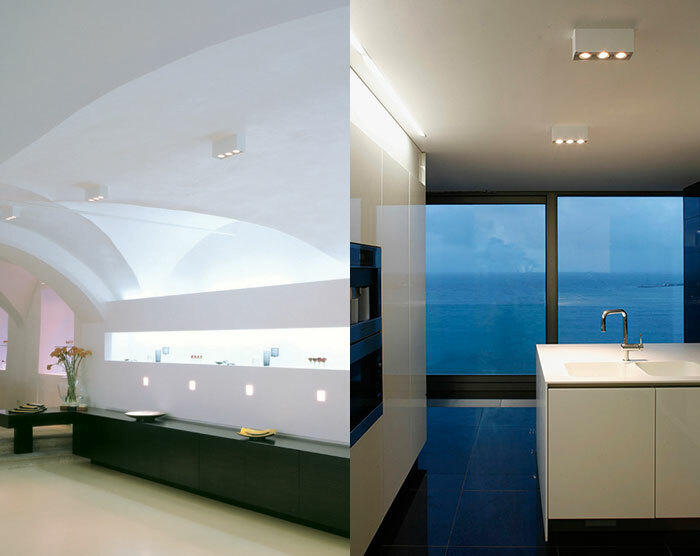 indoor ceiling lamp IP20 for direct or indirect lighting. made of polished stainless steel or white or grey painted metal. dimensions profile: available in net 24 (l. 240mm) and net 48 (l. 480mm). it can take halogen and fluorescent lamps, is extremely versatile and can be used to light both private and public spaces.